Wireless internet. 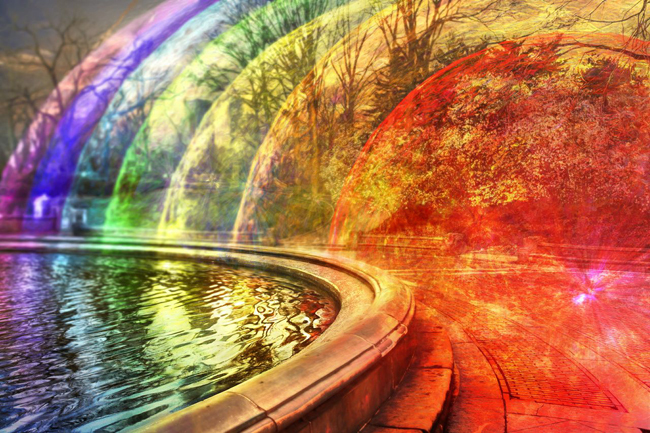 This wonderful hidden energy all around all of us that connects us to people and then websites around the world. 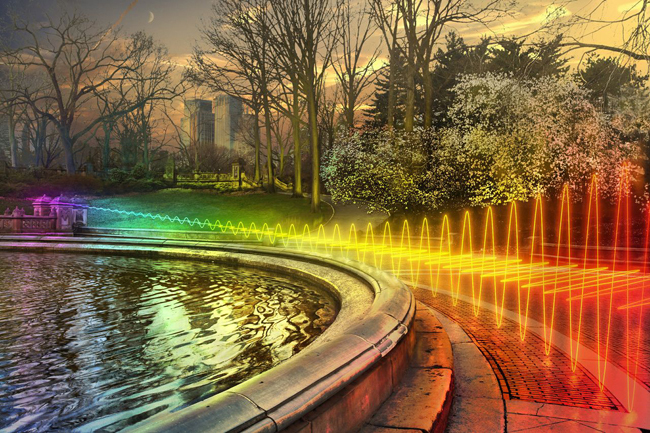 But what if you could basically see wireless internet? Exactly what would it be like? That is precisely the question artist Nickolay Lamm has wanted to answer. 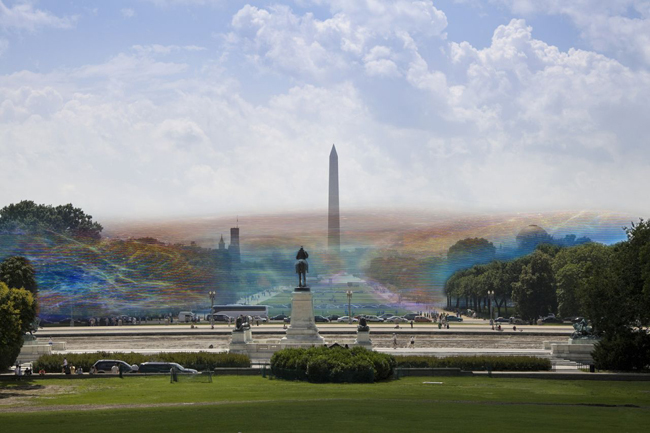 With the help of Astrobiologist M. Browning Vogel, he launched a number of images representing just what wi-fi would look like if it turns out to be visible to the human eye. 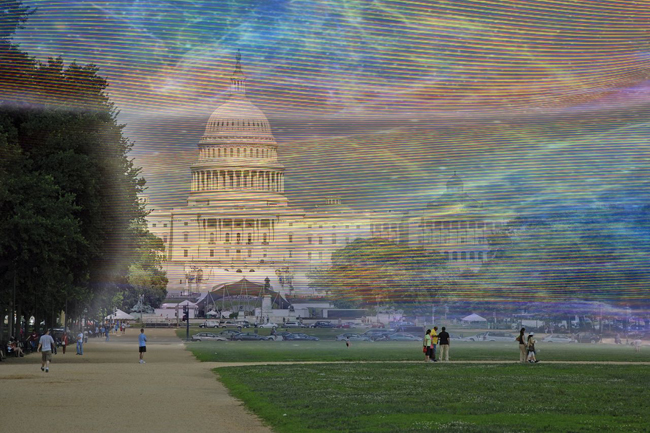 Wifi is an energy field that is transmitted as waves. The waves have a certain height, distance between them and travel at a certain speed. The distance between wifi waves is shorter than that of radio waves and longer than that of microwaves, giving wifi a unique transmission band that can't be interrupted by other signals. 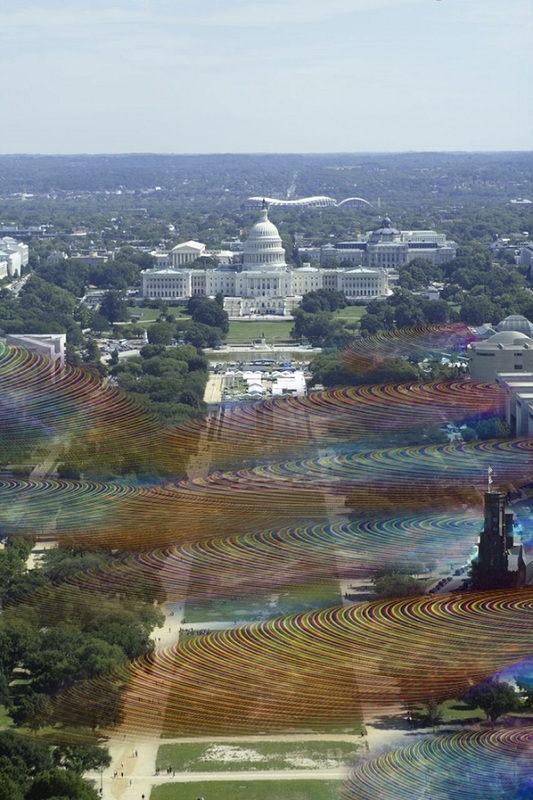 This image shows an idealised wifi data transmitted over a band that is divided into different sub-channels, which are shown in red, yellow, green and other colors.